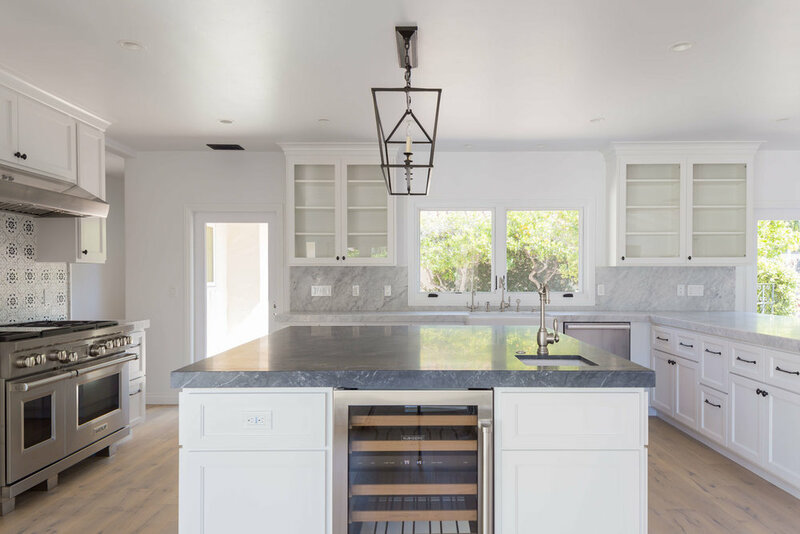 This gorgeous full kitchen and bathroom remodel in Montecito, CA was a collaboration between Native Oak, Alyssa Daly of Designs Daly and QCP Construction. Both companies do great work and represent Ventura County and Santa Barbara County really well. 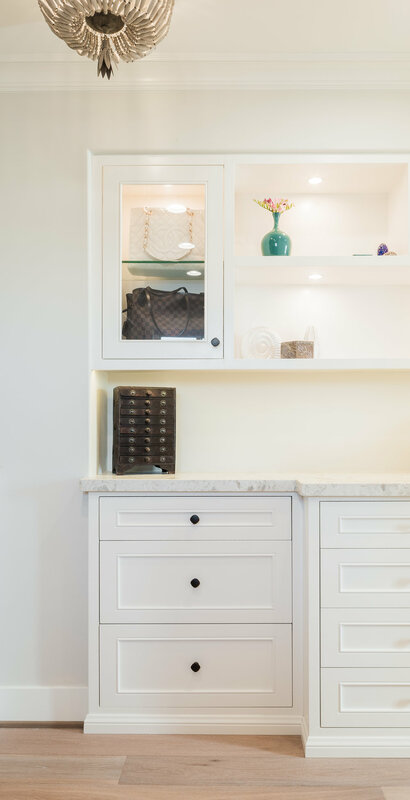 Much of the cabinetry design was actually done by Alyssa, and we were tasked with executing her particular vision. Photos by Raya Carlisle. 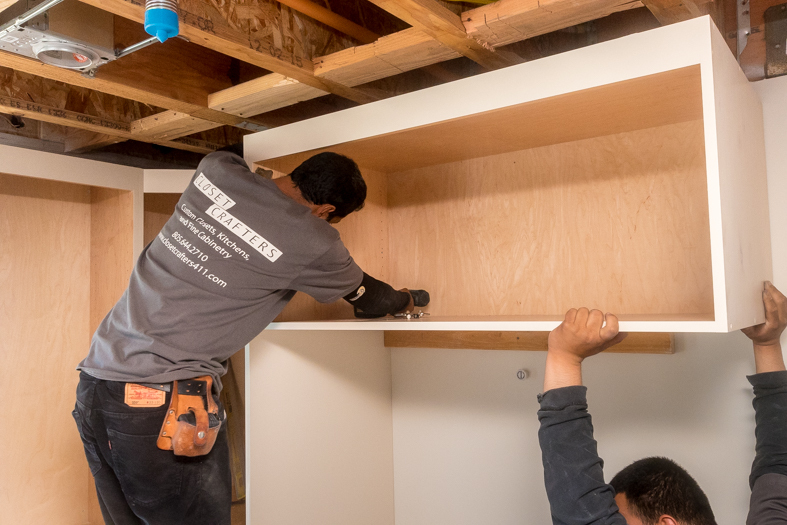 Rather than building many smaller cabinets, we chose a face frame design in which the cabinets are continuous throughout the run. 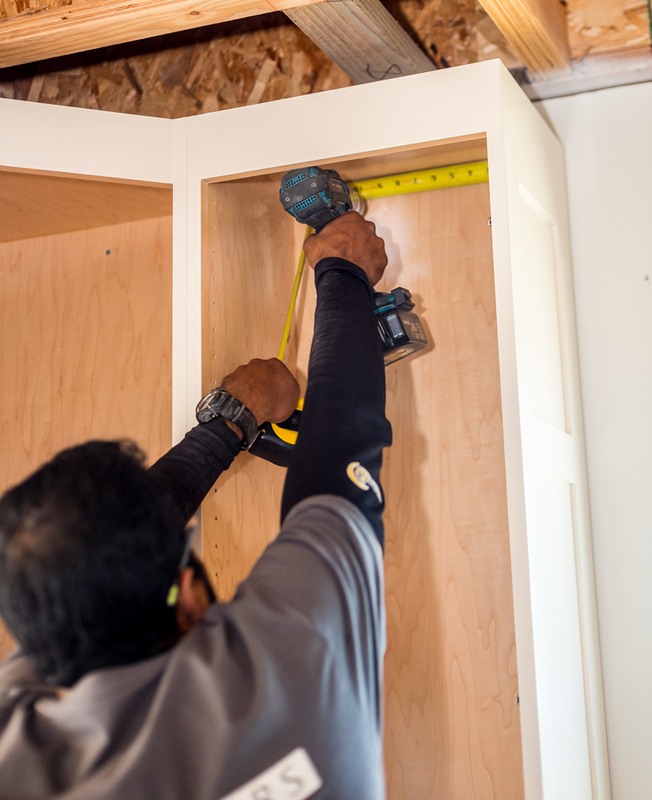 Typical overlay on cabinetry is either full overlay (no gaps), or 1/2" overlay (large gaps). 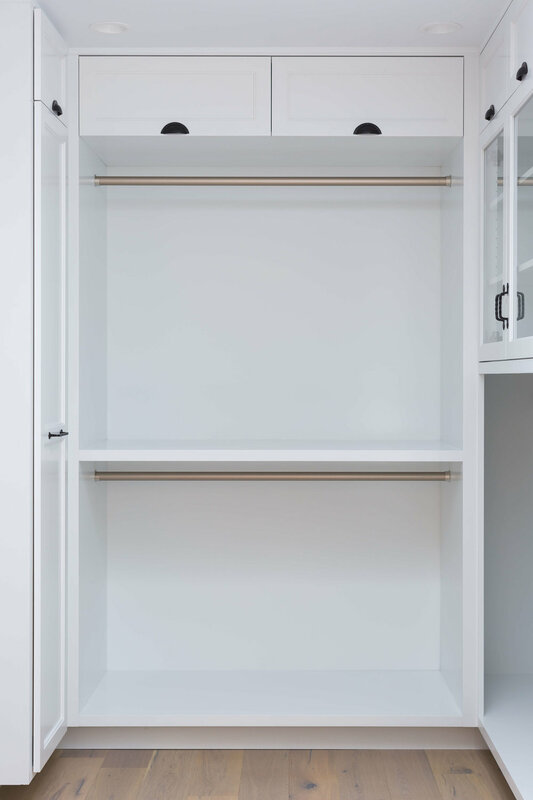 The overlay on these cabinets is between the two. So there is a reveal or gap, but it's smaller than usual. 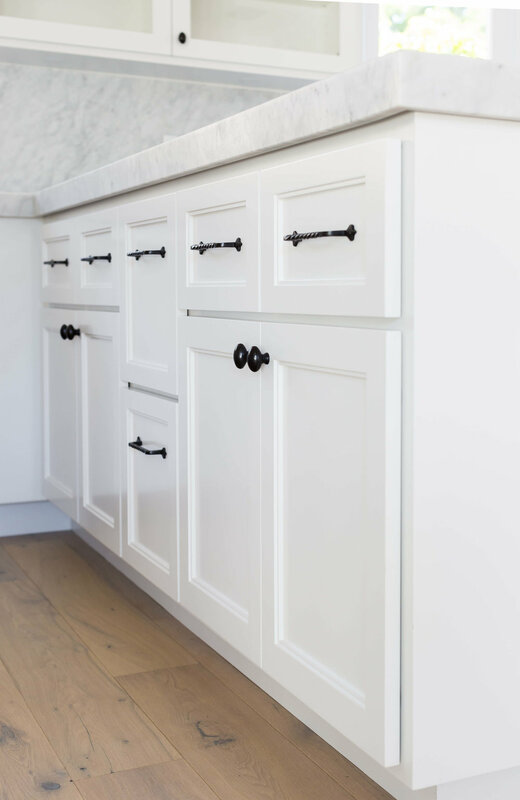 This gives the cabinetry a casual feel without being rustic. We were proud to work with Olsen and Sons on this project in Somis. They build a great product and rightfully have a top-shelf reputation in our community. Living by the beach is a normal practice in Ventura, CA. When you do, you may as well have your workbench look like it belongs, and also be as resistant as possible to the rust and moisture that comes from living on the beach. Check out more photos of this custom workspace here. More information about this unique kitchen can be found here. 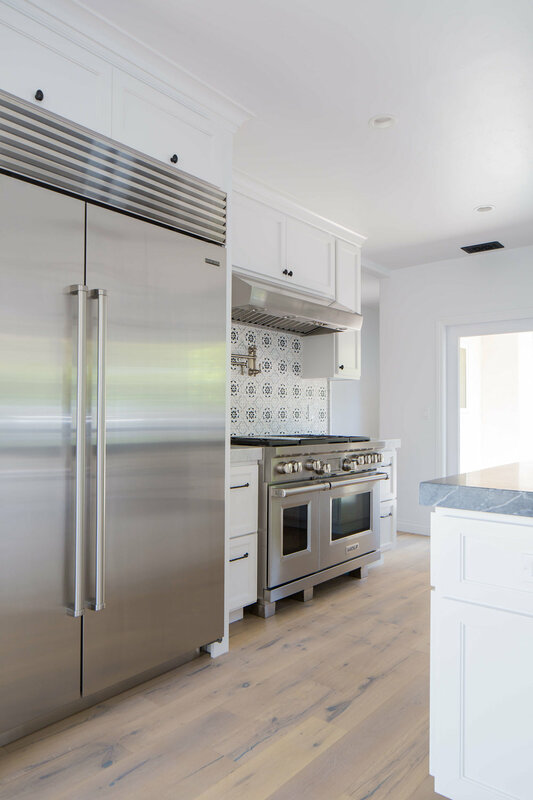 But in the meantime, check out these photos from this gorgeous remodel utilizing laminate thermafoil cabinetry, butcher block tops, and laser etched dovetail drawers. 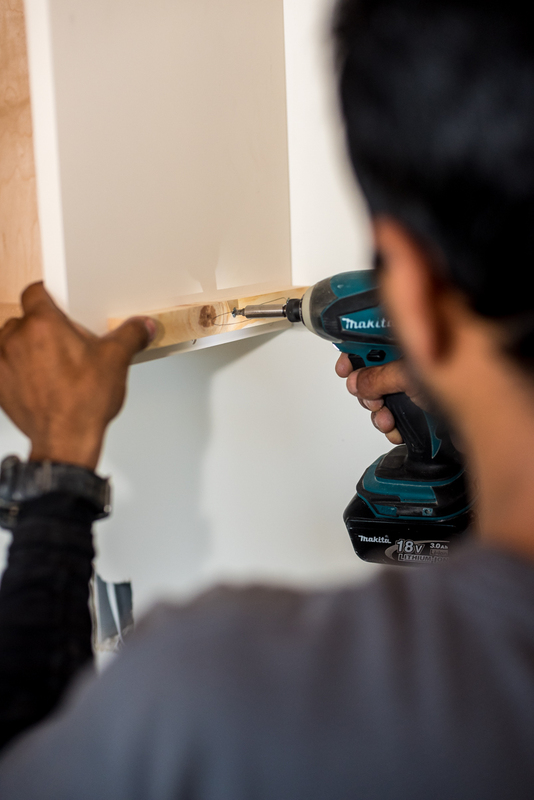 I've been watching the construction of this bathroom cabinet. I confess to having a love of white oak cabinetry, but I'm pretty excited to see this cabinet finished and installed. 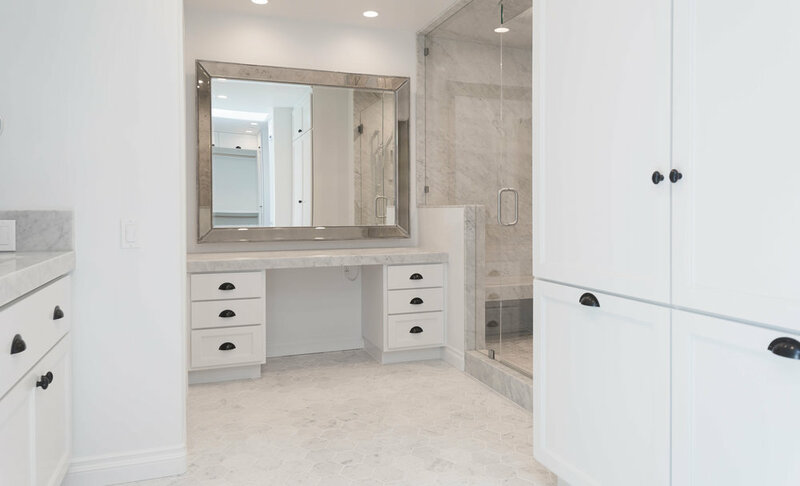 Check back in nativeoak.com/bathrooms for updates. We were fortunate enough last spring to receive a visit from OSHA. Every manufacturer lives in fear of those visits, but the reality is that employee safety is the most important thing. We are all in this together for our livelihood, and it's government entities like OSHA that help keep us manufacturers accountable and aware of the need to protect our employees. Yesterday I went to Van Nuys, CA for an informal conference with OSHA, and I am pleased to say it went well. Also, OSHA in Van Nuys has a cool courtyard view from their office. The view of the building's courtyard from OSHA's Van Nuys, CA office. Sometimes I get carried away, but I like to imagine that Jack and Dianne really got together after "Something's Gotta Give." And they decided to move to Pierpont in Ventura. If so, we found their perfect house! My memory of the house in that movie is of bookshelves and a classic kitchen, lit by the natural light from the beach and the ocean. The neutral colors and shades of white enhance that unique beach sunlight. Of course that house was in the Hamptons, but this gorgeous house in the Ventura neighborhood of Pierpont is classic California. 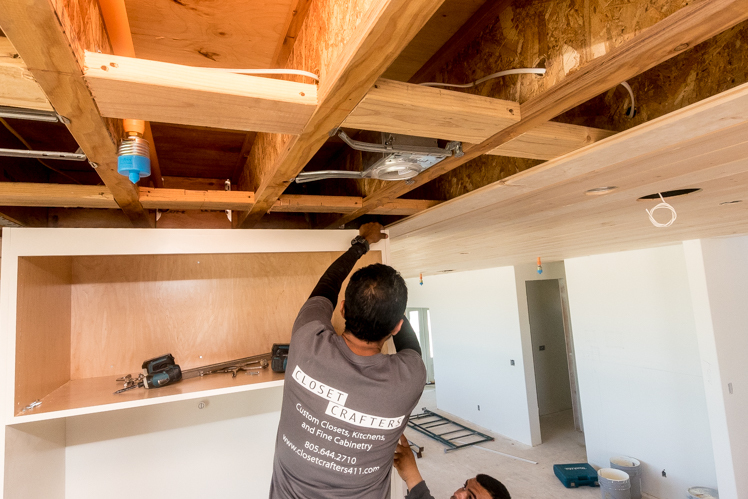 Native Oak was able to partner with the owners in creating the kitchen, closets, bathroom, garage, laundry, and pantry. The rest of the photos from this Pierpont gem can be found here. And just for fun, check out the "Something's Gotta Give" trailer. Exciting stuff in store for Native Oak. 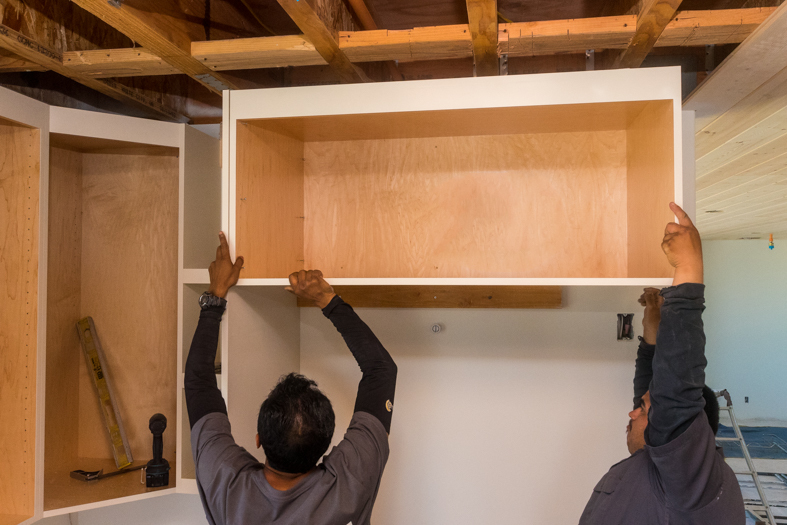 We are trying to build the best custom cabinet shop in Ventura County, and to do that we need the best people, which I believe we have, and the best equipment. Stay tuned here as we take the shop to new heights of quality, efficiency, and automation. 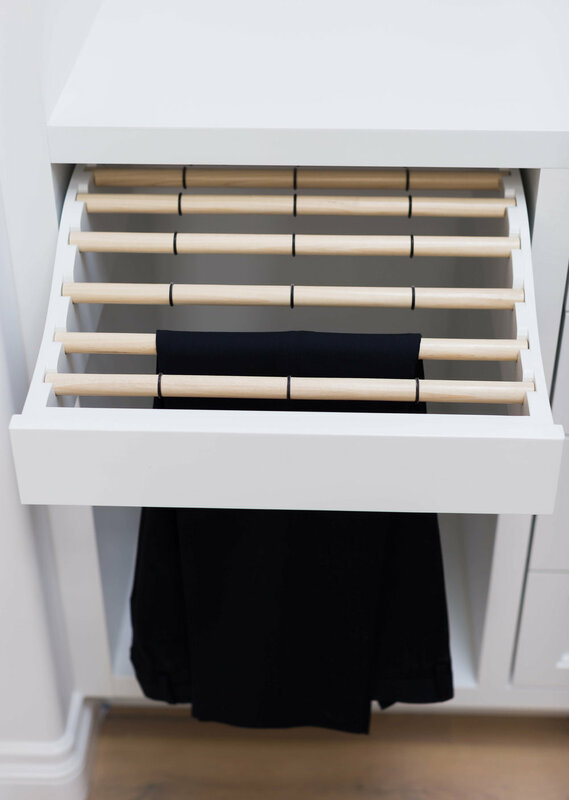 Native Oak Featured in Closets and Organized Storage Magazine. 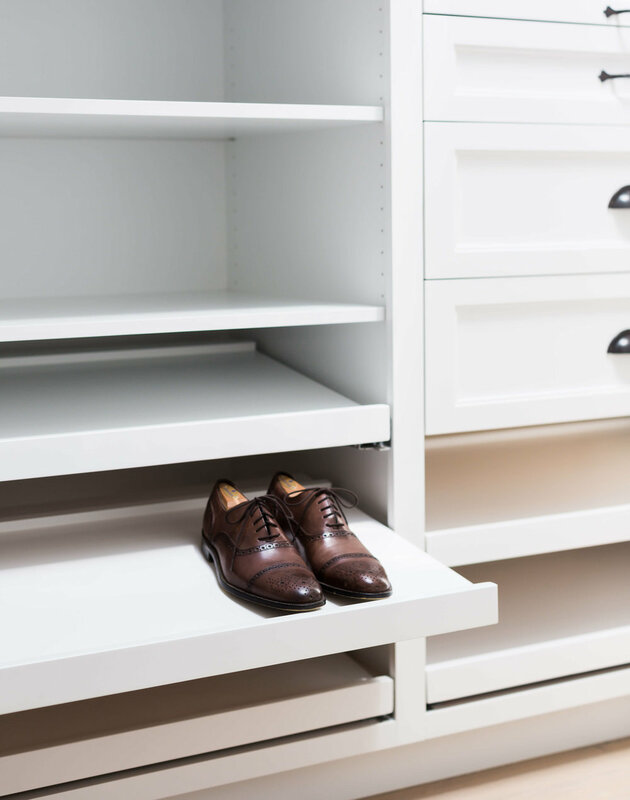 Native Oak is excited to be the cover story in the Fall 2016 "Closets and Organized Storage Magazine". 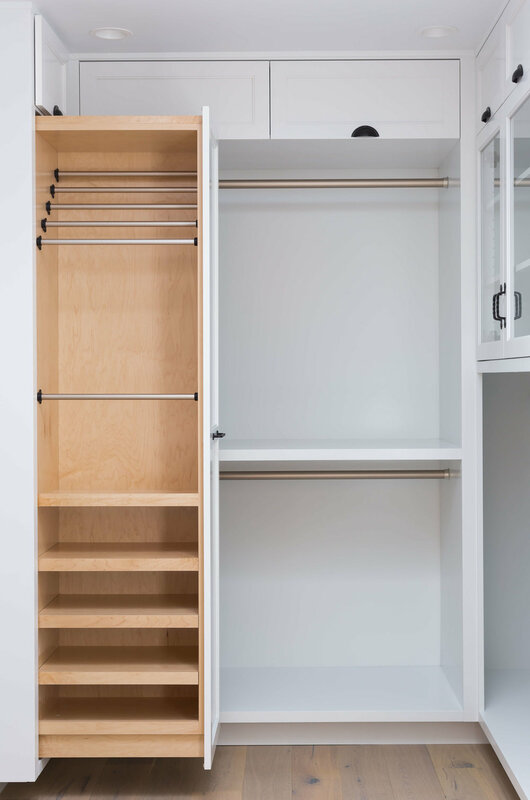 The closet featured in the photographs will be recognizable to our readers as our "Calm: A Hope Ranch Closet". Bench Seating in a Cabinet Shop? Benches and banquettes are a great use of space, especially if you have school age kids. I don't know about you, but my dining room table is covered in homework, pencils, books, erasers, and markers from September through June every year. A cushioned bench is a perfect place to do that homework. Today, walking through the shop, I spotted this interesting bench that has three sides and two angles. I'll be curious to see how this beast installs! Interesting angled bench being constructed in the shop. 2x4 frame, with plywood exterior. Gray painted Shaker cabinets, in process. Sometimes, when I'm walking through the shop I see something interesting and I snap a few photos. 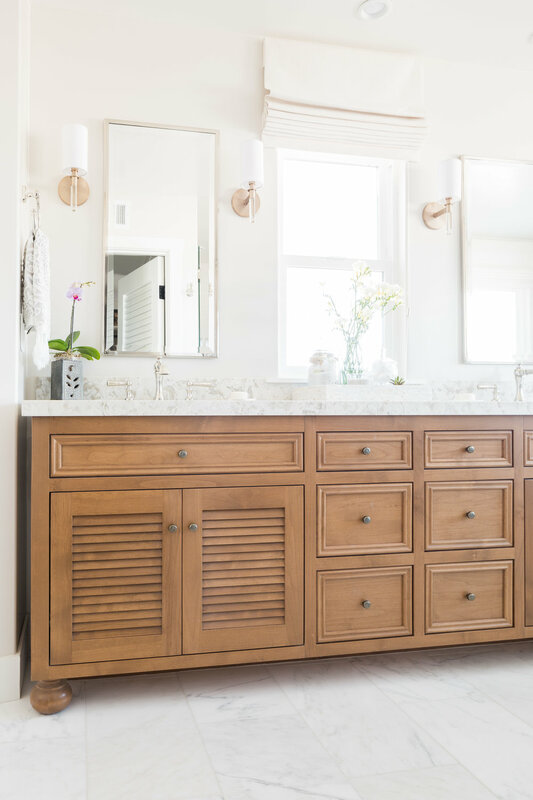 Painted cabinets have always been popular, but what I think drives the popularity now for factory finished painted cabinets is the ability to get a mirror like finish on the product. The flawless factory finish combined with the organic feel of paint on wood strikes a perfect balance of a wood product that you would want to use every day. I'm really pleased with our painted cabinet. 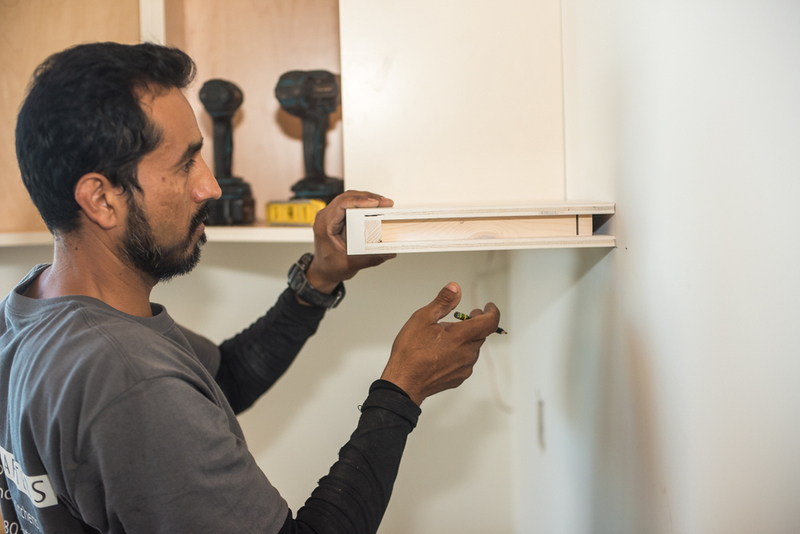 We have a great partnership with CalDoor and our painting/finish professional is top-notch. Another kitchen I am anxious to see in real life. 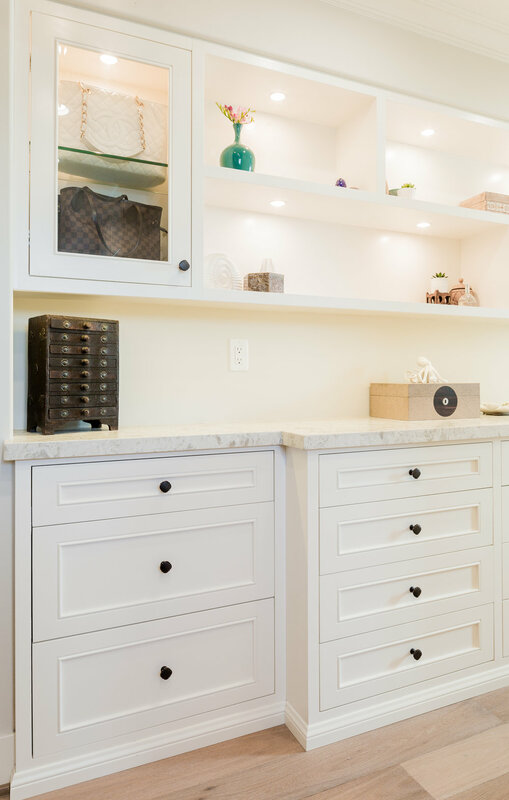 Custom cabinetry for living. 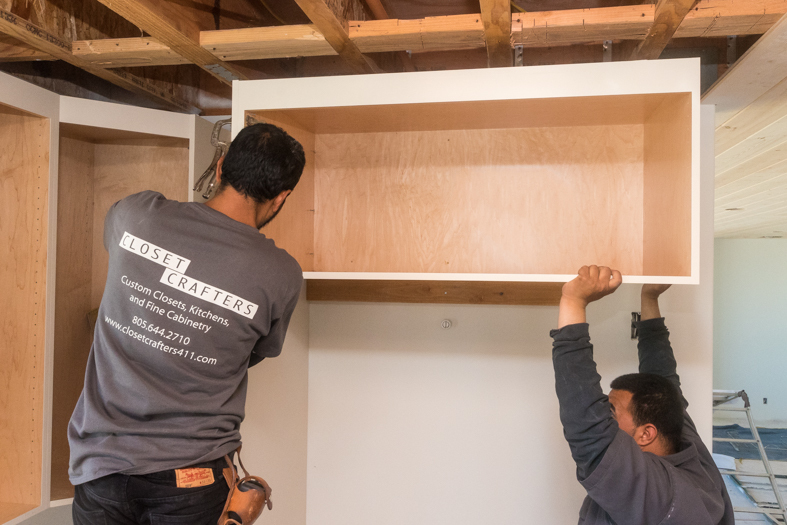 We use Hafele racking for our painted doors. Allows them to dry evenly and to be moved without damaging the finish. Up close view of the Shaker doors. 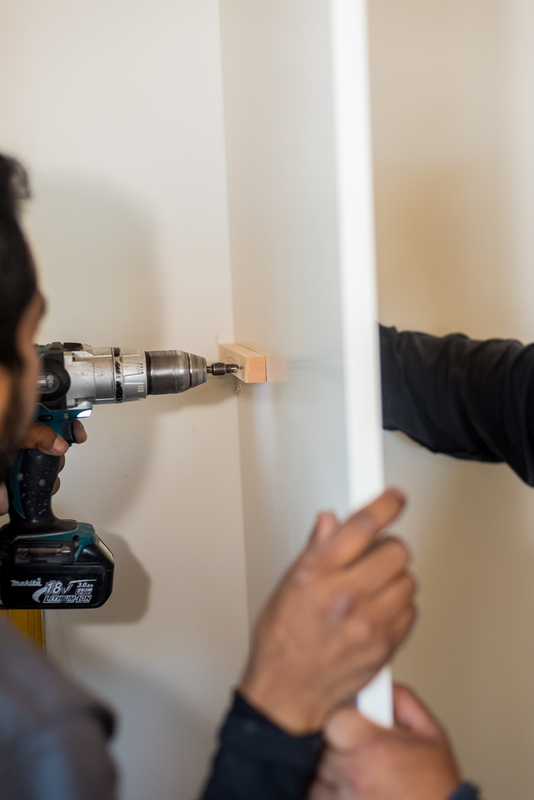 We typically use an MDF panel when it is painted to avoid movement in the final product - solid wood panels shift and can cause cracking at the joints. Kind of a bland picture, trying to capture the mirror like quality. 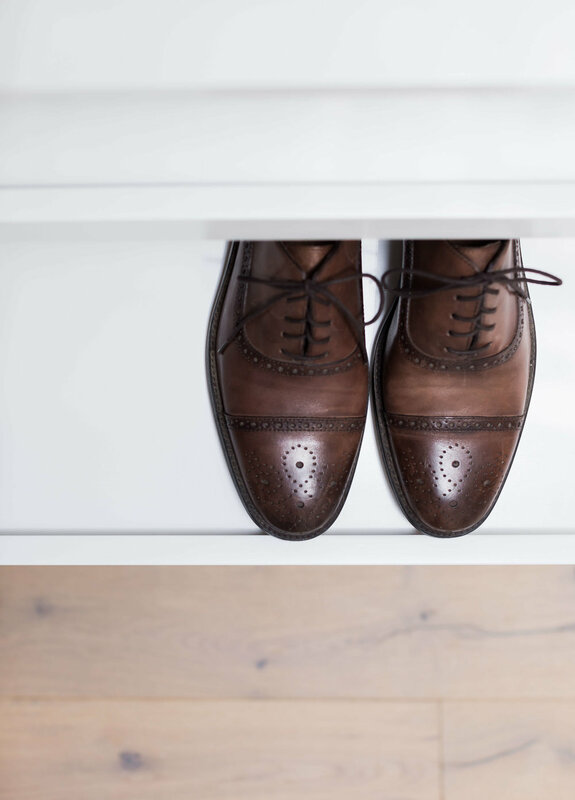 Coming Soon - Native Oak's Pierpont Beach Open House! Pierpont Beach in Ventura, CA is one of the best neighborhoods in town. We are fortunate enough to have Pierpont Beach as the location of one of our first installations. 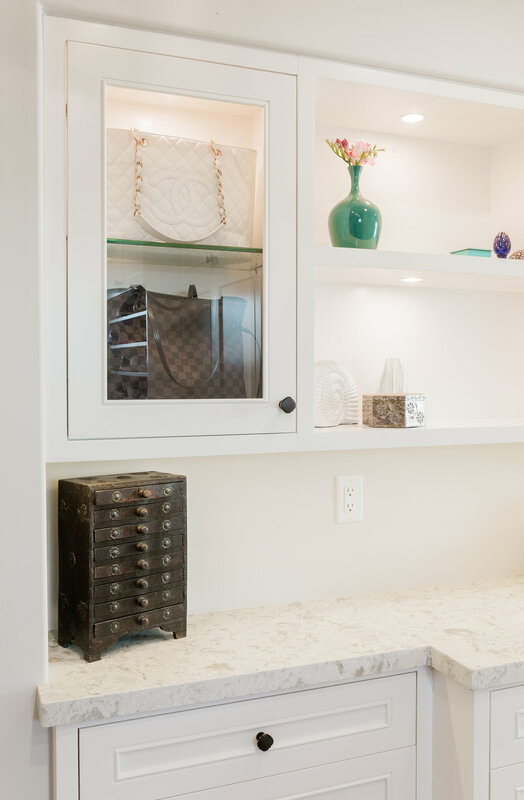 The homeowners and Native Oak are working together to create a gorgeous modern beach house kitchen, and will be inviting local homeowner, designers, and contractors to tour the completed house. If you're interested, sign up below and we will email you when the date is set. We're busy, and that's how we want to be! 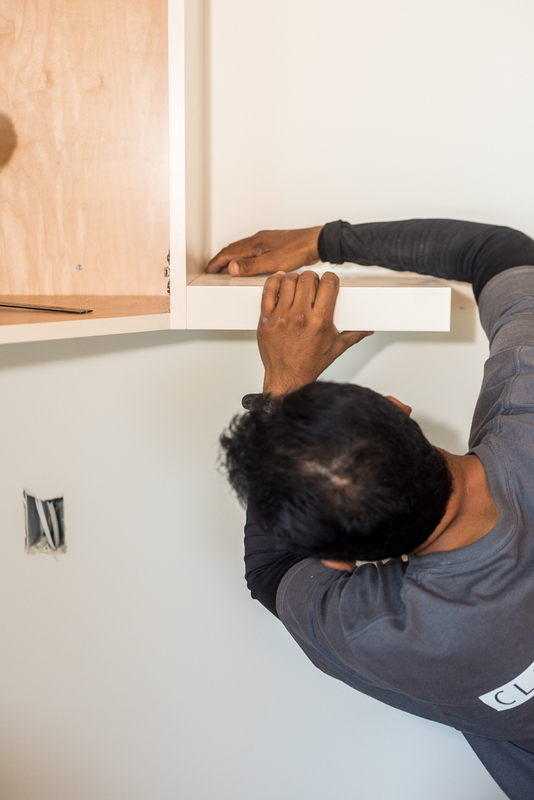 Making cabinets all day, every day. 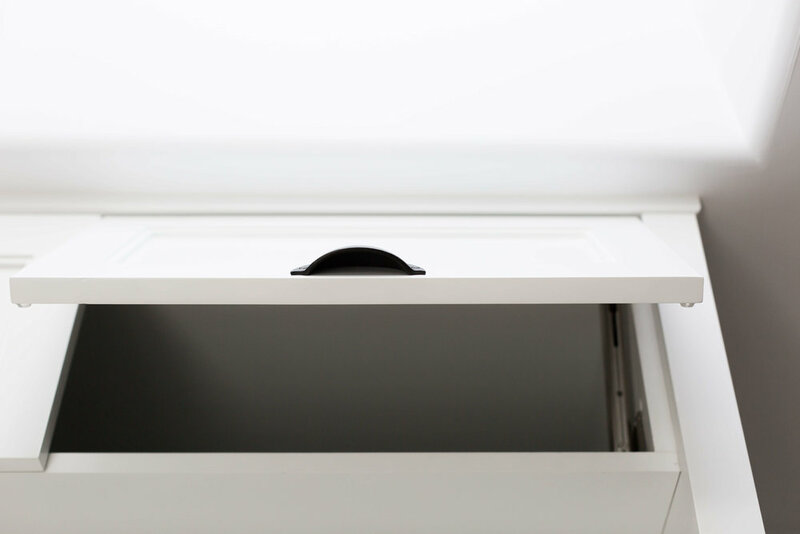 Where Will You Find Native Oak Cabinets? One of the reasons we located our business in Ventura, CA (aside from the fact that it is the perfect place to live) is so we could reach the diverse areas that make the South Coast such a great area in which to live and do business. Live where you work, work where you live. 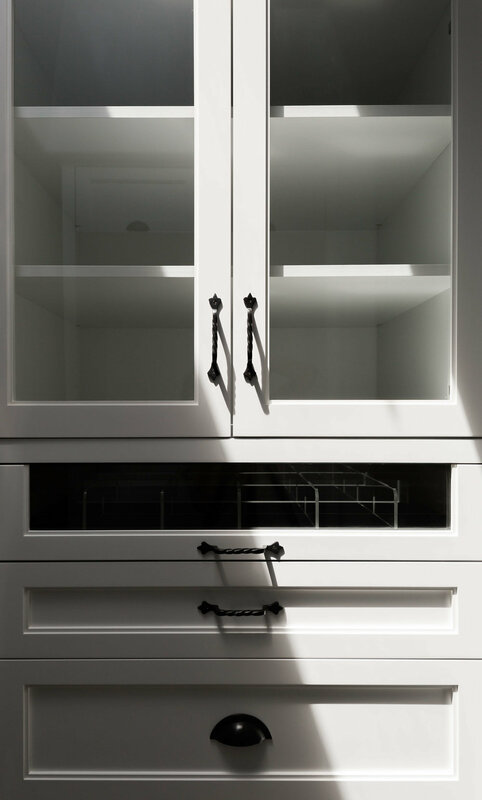 Custom cabinetry for living.